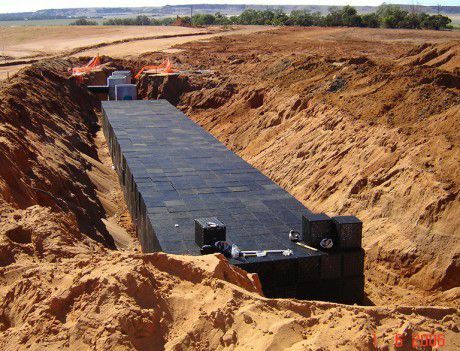 VersiTank® is a heavy duty plastic module that allows for either sub-surface infiltration or onsite storage tank. VersiTank® stormwater tanks provide an efficient at-source management system for rainwater from roofs and other impermeable surfaces such as parking areas, driveways, playgrounds and sports fields. VersiTank® stormwater tanks are available in several sizes and load-bearing capacities catering for the requirement of individual houses up to the largest commercial and industrial developments. The load-bearing capacity of each type may be increased with the use of additional proprietary “stabilisers”. VersiTank® modules are easily assembled on site by clipping together lightweight, high strength interlocking panels. Assembled units can be interlocked both vertically and horizontally thereby ensuring the system remains stable under trafficable or high weight bearing load areas. VersiTank® is a heavy duty plastic module that can be used as a void filler within planter boxes. Excavate an area to design specifications. Ensure the base of the excavated area is level and compacted. 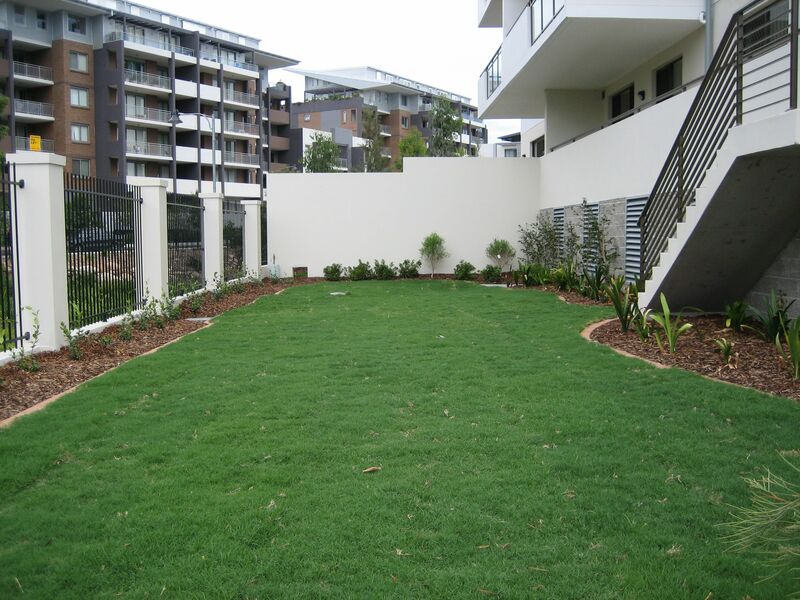 Lay down, level and compact a minimum 75 mm of coarse sand. Place geotextile (minimum 250 g/m²) over the base and up the walls of the excavated area. Provide for a minimum 200 mm overlap and seal joints with adhesive PVC tape. Ensure sufficient geotextile overhang is available to cover the surface of the VersiTank®units after placement in the excavated area. Position VersiTank® units on the geotextile in the excavated area. Secure installed units with stainless steel fixing clips,tie wire or high strength plastic cable ties if necessary. If required, another layer of VersiTank® units may be either placed on or interlocked beside the already positioned and secured units. Form holes in the correct positions to receive both inlet and outlet pipes. Insert flanged connectors into both the inlet and outlet positions. Ensure that the outlet is positioned lower than the inlet. Cover the sides and tops of the installed units with geotextile and seal overlaps around the inlet and outlet pipe areas with adhesive PVC tape. Backfill on the sides and over the top of the VersiTank units with a minimum 100 mm of clean coarse sand and compact using hand tools to engineering specifications. 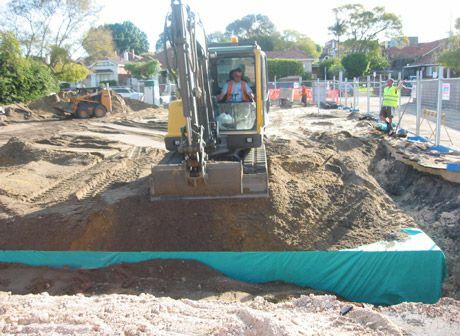 Ensure a minimum 400 mm free-draining soil cover is applied on top of the 100 mm of clean coarse sand layer on the surface of the installed units to meet engineering and design authority specifications. 2. Ensure a minimum 300 g/m² geotextile is used. 3. Carefully position the impermeable membrane on the geotextile. The membrane must either be prefabricated to the required dimensions or be in sheet form of sufficient dimensions to completely envelope the installed VersiTank. 4. 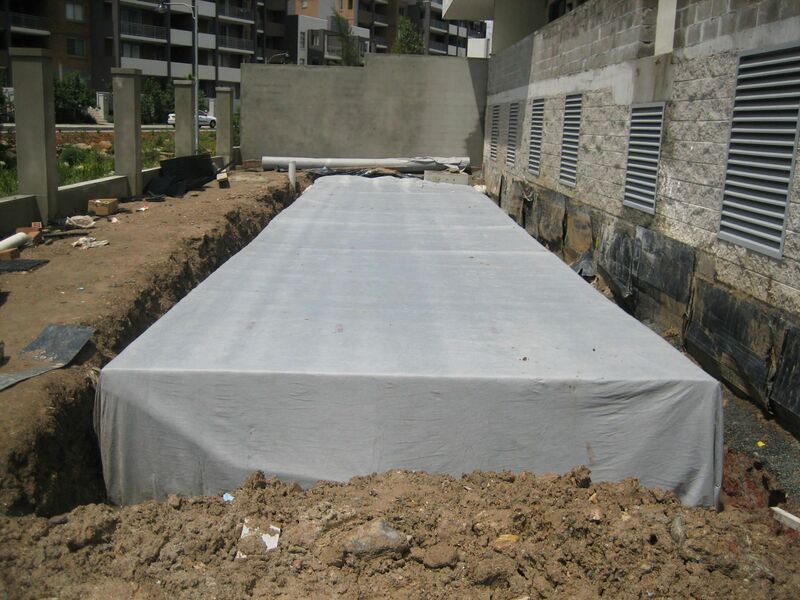 Install a second layer of geotextile over the impermeable membrane. Care must be taken that the membrane is not damaged during installation. 5. Follow steps 5-8 (Infiltration System). 6. Ensure that the membrane joins on the top surface of the VersiTank units and that inlet and outlet pipes are well-sealed using techniques recommended for the specific membrane. 7. Follow steps 9-11 (Infiltration System). NOTE: VersiTank Re-Use Systems must be installed by a competent waterproofing contractor who is skilled in the art of installing impermeable sheet membranes. Biological/chemical resistance Unaffected by moulds, algae,soil-borne chemicals, bacteria and bitumen. * Values may vary due to the nature of recycled materials used.